London based Sid Gentle Films set up shop in four European countries including France and Italy to shoot the eight-episode series for BBC America. 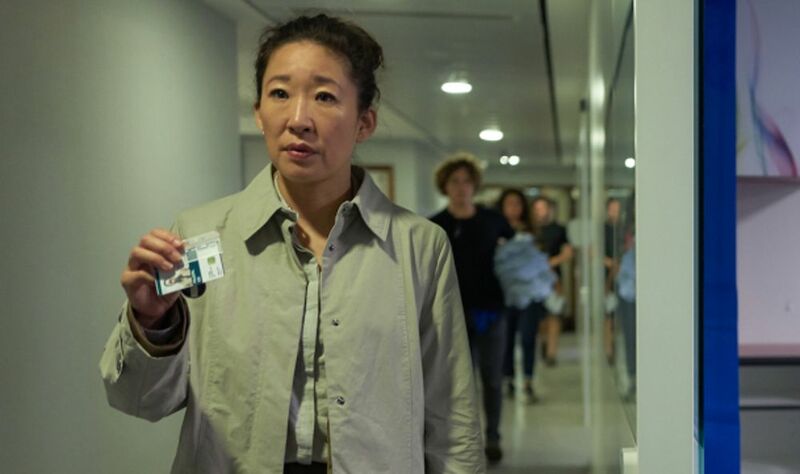 Sandra Oh (Grey’s Anatomy, Meditation Park) has picked up an Emmy nomination for her portrayal of MI5 spy Eve Polastri who embarks on a cat and mouse chase with international serial killer Villanelle, played by Jodie Comer (Doctor Foster, Rillington Palace), which turns into an obsessive relationship. The darkly comedic thriller, written by Phoebe Waller Bridge (Solo: A Star Wars Story, Fleabag), follows the pair’s tense encounters in cultural capitals throughout Europe. Paris, Moscow, Tuscany, London and Berlin all have starring parts in the show. Over five months, the production travelled to Paris and Sienna in Tuscany from their base in London. One week was spent in Berlin while Bucharest hosted the longest international shoot for the production. The Romanian capital doubled for Moscow and also provided the backdrop for some additional scenes set in Paris. Much of the production took place in London in locations including Guy's Hospital in Southwark, Hampstead Parish Church in Camden, and Fabric nightclub in Islington. An international team of 40 – 50 production professionals travelled between each of the locations to ensure continuity. Local crew were also vital for keeping the production running smoothly in each destination. The villain of the series is multilingual, speaking Russian, French, Italian and English throughout the series. Comer noted that alongside having a voice coach on set, local crew were able to conveniently point out when she wasn’t doing justice to their native tongue. Red-roofed Sienna in the picturesque Italian state of Tuscany has provided the backdrop for numerous big-budget features and TV series over the years. Gladiator, Quantum of Solace and The Twilight Saga: New Moon, all captured a taste of quintessential Italy by filming in the city’s cobbled streets. Italy has a 25% tax credit to film and TV productions that shoot 60% of their production in the country and many regions have additional filming incentives in the form of film funds. Similarly, Paris is often called upon by international productions and the romanticised capital, whose iconic landmarks are known the world over, is often chosen as the location for international spy thrillers or action films. Most recently, some of Mission Impossible was filmed in the city, resulting in the largest ever production spend on French soil incurred by an international production. France’s Tax Rebate for International Productions (TRIP) offers foreign TV or film productions with a minimum local spend of EUR250,000 a 30% rebate when shooting for over 5 days in the country. Additionally, the Ile de France region, where Paris is located has a film fund open to feature film, TV and post production work that spend EUR100,000 over a minimum of 5 days shooting. The fund provides 30% of spend to productions that qualify. Bucharest was used both to double for Moscow and as Parisian backstreets in some additional scenes. 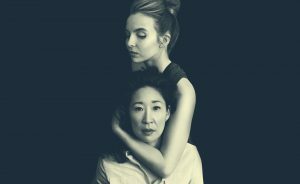 Lee Morris, executive producer on Killing Eve remarked that Romania is woefully “under exploited” by international producers who often overlook the country in favour of attractive incentives offered by its neighbours. However, Romania does provide cost-friendly options to producers who are looking for a country with a wealth of historical settings available for filming. The country has managed to attract several horror films and crime series such as newly released The Nun which used a gothic castle as one of its main production locations. Romania has recently announced a 35% cash rebate model that should lure more productions to the country in the future. Film France, Italian Film Commissions and the Toscana Film Commission will be exhibiting at FOCUS the meeting place for international production in London on the 4th & 5th of December. Click here to register your interest in the event so you can find out more about filming in Georgia.